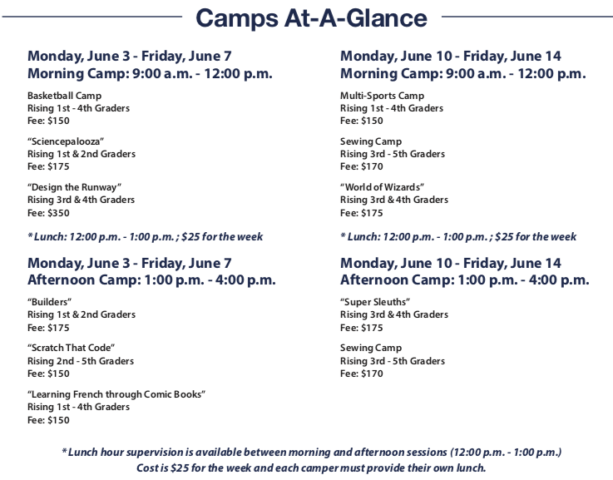 Charleston Day School is pleased to announce the 2019 Summer Camp schedule for students in grades 1-5. All programs have been designed to create a safe, fun, and exciting environment for participants. Click here to view flyer with descriptions. Space is limited, so register early to secure your spot.